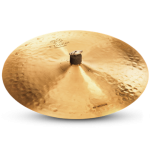 The Ride cymbal is the main or primary cymbal in the drummer’s setup. 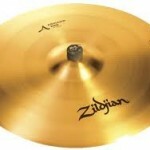 The term comes from playing time or, in the days of swing, “riding” on the cymbal. 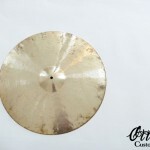 Sizes vary, but the most common sizes are 20″ and 22″. 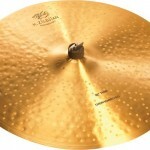 For darker, warmer sounding ride cymbals the hand hammered ones are ideal. 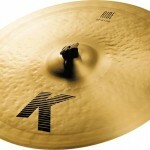 Zildjian K Constantinople Thin OverHammered Ride 22"
The Zildjian K Custom Ride Cymbal uses completely unlathed crafting to provide bright, clean stick definition; loud bell; and dark overtones. 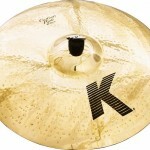 The K Custom cymbals are specially designed to provide more volume and cut with a quicker attack and decay than traditional K Zildjians. 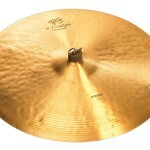 Good stick definition, clear bell, and warm undertones with an unlathed underside. 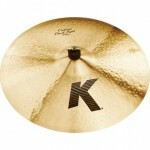 The K Custom cymbals are specially designed to provide more volume and cut with a quicker attack and decay than traditional K Zildjians. 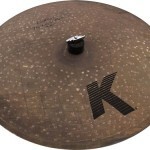 Ultra-dry stick sound with some dry undertones. 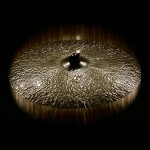 Totally unlathed and unpolished. 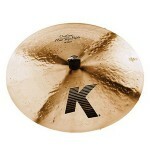 The K Custom cymbals are specially designed to provide more volume and cut with a quicker attack and decay than traditional K Zildjians. 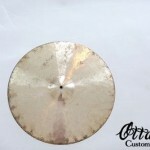 The Custom Dry and Special Dry are noted for their clean stick sound and dark overtones. 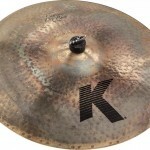 The K Custom Session Cymbal delivers a more controlled sound that is lower in pitch but has enough spread to ride on top of the music. Unlathed, with a brilliant finish. 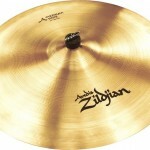 Combines a warm, dry stick sound with a lush, dark, dry, warm, and full-bodied crash sound, ideal for accents. 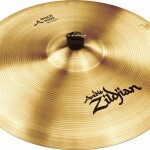 Provides both these sought-after qualities in a single, unlathed, and extra-hammered but thin cymbal design. 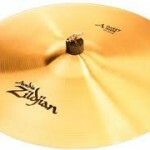 Ideal for electric and acoustic jazz. 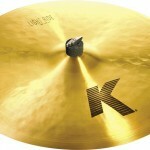 The K Custom cymbals are specially designed to provide more volume and cut with a quicker attack and decay than traditional K Zildjians. 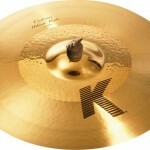 Peter Erskine isn't the only drummer who considers Ks the holy grail of Ride sounds. 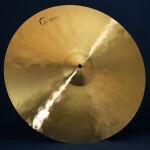 But he considers the Left Side Ride "the perfect combination of spread and precision - the cymbal I've been looking for all my life." 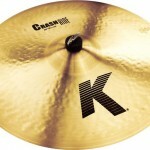 A compliment to his Crash and a "best friend" to his Ride, the Left Side Ride has the familiar warmth and clarity of his other Ks but adds a new distinctive sound. 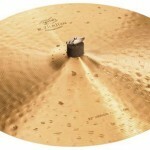 Designed with Terri Lyne Carrington, speaks with great definition and enough tone to balance its dryness. 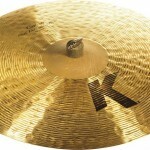 Reminiscent of old Ks or Constantinoples, it is at home in electric or acoustic situations. 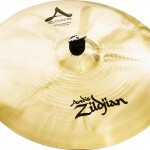 These are the Classic Avedis Zildjian cymbals that established the name and reputation of Zildjian. 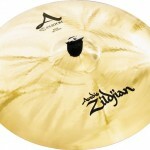 The A Zildjian rides are brighter and have more high end than the A Custom or K cymbals. 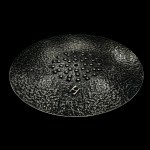 The medium ride comes in three sizes. 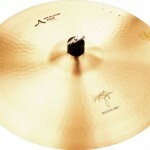 The most popular is the 20". 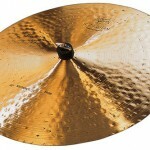 This is a good all around mid range cymbal. 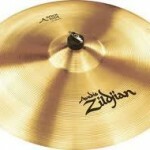 The A Zildjian Rock Ride is for heavier style playing. 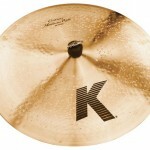 It is very focused and because it is thicker has a higher pitch than most of the other ride cymbals. Not made for general crashing. 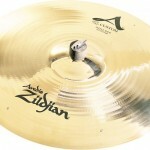 A great all around, versatile cymbal, the A Zildjian Sweet Ride is 21" and pitched lower than the Medium Ride. 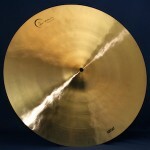 It works well in most playing situations as non-obtrusive and a "sweet" sounding cymbal. 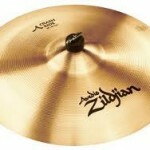 Zildjian's newest SheetBronze alloy. 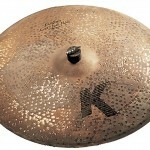 88% copper, 12% tin for increased musicality. 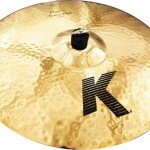 All-purpose Ride with an exceptionally clean stick response and defined bell. 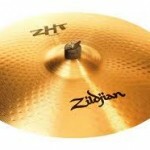 An excellent choice for beginner, intermediate level player.